Access to benefits and services through your Practice Greenhealth Account, as well as all related email subscriptions, are contingent upon the membership status of your employer organization. Contacts from both member and non-member organizations are sent email communications on a regular weekly basis. To ensure you stay informed about upcoming events, current trends, awards, the latest news, special announcements and offers from Practice Greenhealth, please review the information provided below. 1. Add the following email domain names to your "Safe Sender List:"
general and special announcements, upcoming events, webinars & sharing calls, GreenBeat monthly newsletter etc. 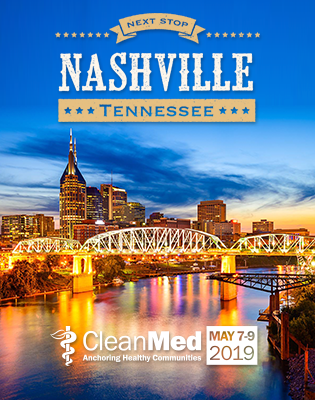 information about our annual CleanMed conference. information regarding the Practice Greenhealth Environmental Excellence Awards. communications sent within the Practice Greenhealth Listserv (see below). 2. To Opt-out of ALL email communications from Practice Greenhealth, visit My Account>Contact Profile>Edit Contact Profile - Toggle ON "Do No E-Mail." 3. If you have Unsubscribed from our mailing lists and wish to re-subscribe, please complete the email subscription form below. You can expect to begin receiving email from us again within one week of completing this form. Each email we send includes a link to send feedback or unsubscribe. Unsubscribing via your Practice Greenhealth Account will remove you from ALL our mailing lists. Your privacy is important to us. The e-mail address you provide will be used only to send you our communications. We will not share it with anyone. Yes, please send me email communications from Practice Greenhealth. The Practice Greenhealth Exchange is an active peer-to-peer listserv where health care professionals share information to facilitate progress toward overall environmental improvements in the health care setting. The success and usefulness of the listserv is dependant upon participation. So please ask questions freely, share your success stories, and reply to requests for information. To subscribe to the Practice Greenhealth Exchange Listerv, send an email with "subscribe me"in the subject line to pghexchange+subscribe@practicegreenhealth.org. A moderator will review and approve your subscription request. To post to the Practice Greenhealth Exchange Listserv, email pghexchange@practicegreenhealth.org. A moderator will review and approve your message. Be sure to add pghexchange@practicegreenhealth.org to your safe sender list. You may also Unsubscribe from within your Google Account.